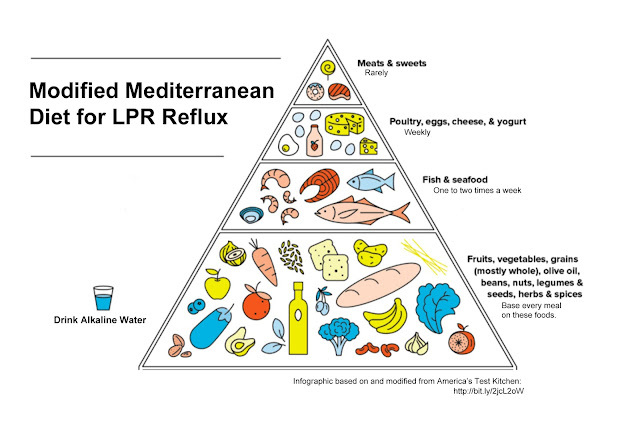 New York researchers have discovered that a modified Mediterranean diet worked as well as PPI medications in resolving LPR symptoms (laryngopharyngeal reflux) which include globus, chronic cough, phlegmy throat, constant throat-clearing, etc. The comparison study group that used PPI medications utilized esomeprazole (Nexium) twice daily or dexlansoprazole (Dexilant) daily. In fact, the modified Mediterranean diet group had more patients feeling better (62.6%) than the medication group (54.1%). 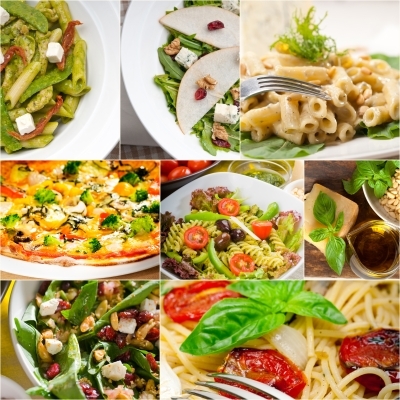 The symptoms also decreased more dramatically in the modified Mediterranean diet group (39.8%) than the medication group (27.2%). Improvement typically occurred within 6 weeks. Given there is a trend to avoid reflux medications due to side effects from long-term use, lifestyle changes are an integral part of any treatment regimen. This research provides welcome news for those wanting to avoid such medications. • near complete avoidance of meats including beef, chicken, fish, eggs and pork. Essentially, you need to become an alkaline water drinking vegetarian who cheats a little. Keep in mind that although this diet appears to help with LPR symptoms significantly, it is unclear whether the improvement is specific to certain sub-groups (acid vs non-acid LPR vs both???). It is entirely possible that certain patient sub-groups may not benefit from this diet. More research is needed.